Monster Casino, one of our most popular featured casinos have made a change to the bonuses and promotions they offer! We love it when they shake things up a bit as it gives you guys a really good starting chance. And what a casino to receive such an offer from! Monster Casino with such a massive reputation and they are giving a welcome bonus to match! Welcome offers provide new players that substantial amount to play slots on their adventure to find their favourite. So an impressive offer like this is sure to get you guys playing the impressive range of games offered at Monster Casino. As a result, you can play anything from slots to table casino variations and even Live casino options. 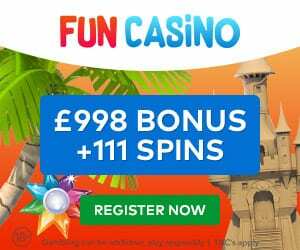 Monster Casino now offers an impressive £500 Welcome Bonus Package + 50 Free Spins on Starburst as its welcome bonus. However, this is spread over 3 deposits, first deposit awarding 200% deposit match up to £50 with the 50 bonus spins. Your second and third deposits award you a much higher deposit match of 100% up to £200 then 50% up to £250. 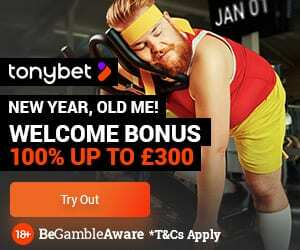 Therefore, when taking advantage of this you can get up to £500 in bonuses. Please read the promotions terms and conditions before you deposit. Please let us know about your experiences, good or bad, in the comments here or on the Monster Casino Review page. You guys sharing your experiences with us is vital for us to give the very best feedback on each and every casino we feature.